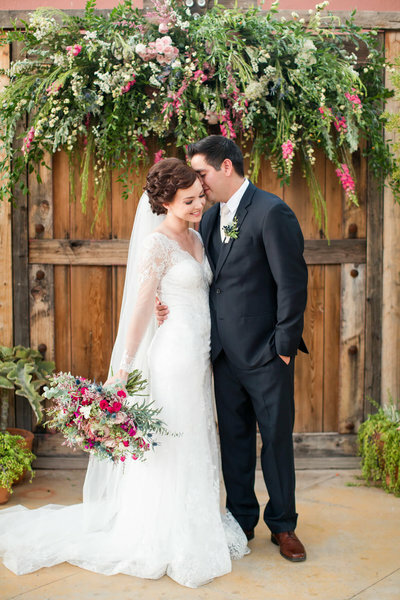 We are Kimmy & Theresa, Tucson Wedding Florists, serving southern Arizona and beyond. Welcome to our new home on the internet. We are so glad you are here. It’s interesting how life takes its turns and we find ourselves in a relationship, different environment or circumstance that is typically not planned. However, somehow the unraveling of what you have fallen into feels predestined, and just like that, you’re onto your next adventure. Whether through joy or with pain, we believe it’s all apart of a master plan. Really, the survival of our storms keep us at the edge of our seats, intrigued for whats next. This is us, and it may be you! In a place or space where seasons slip in and take their course, and you find you’re in the midst of a shift. Summer, fall, winter or spring, each season is designed with a purpose and intent of what is to come. After years of working in the trenches with our husbands and family, unexpected seasons hit each of our worlds. Theresa and I found ourselves faced with the opportunity and the choice to keep moving so, we decided to do it together. As women entrepreneurs, being wives, moms, and even friends can have its challenges. We all must believe in something and choose to stay in that perspective every day. Truthfully, some days it seems simply impossible. However, our belief in love and relationships, coupled with our deep roots of family history on Eastland street, and the many alleys of Tucson, Arizona, they draw us back right where we need to be. To build something from within, create the unthinkable, be present, love well and pass it on. Expressing our instinct for love and design starts with these core values, and is fueled by you. Sitting down to hear your plans at the beginning of life with your spouse is a reminder of what matters…each other. Your story beginning keeps the perspective of our purpose and journey continued. Now, we simply find ourselves here, with you. Eager to know your story, and be apart of what we believe is something just as meaningful.